Each cell of a two-dimensional lattice is painted one of κ colors, arranged in a ‘color wheel’. The colors advance (k tok+1 mod κ) either automatically or by contact with at least a threshold number of successor colors in a prescribed local neighborhood. Discrete-time parallel systems of this sort in which color 0 updates by contact and the rest update automatically are called Greenberg-Hastings (GH) rules. A system in which all colors update by contact is called a cyclic cellular automation (CCA). Started from appropriate initial conditions, these models generate periodic traveling waves. Started from random configurations the same rules exhibit complex self-organization, typically characterized by nucleation of locally periodic ‘ram's horns’ or spirals. Corresponding random processes give rise to a variety of ‘forest fire’ equilibria that display large-scale stochastic wave fronts. 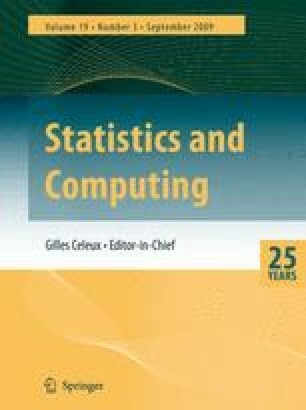 This paper describes a framework, theoretically based, but relying on extensive interactive computer graphics experimentation, for investigation of the complex dynamics shared by excitable media in a broad spectrum of scientific contexts. By focusing on simple mathematical prototypes we hope to obtain a better understanding of the basic organizational principles underlying spatially distributed oscillating systems.